Hermann, MO: Reenactment of Action at Hermann. 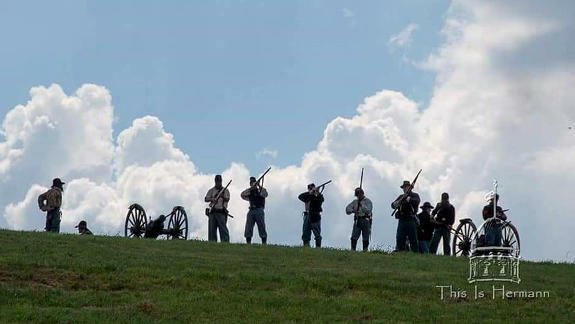 « The Turner Brigade--Missouri Volunteers, U.S.
Hermann, MO: Reenactment of Action at Hermann. 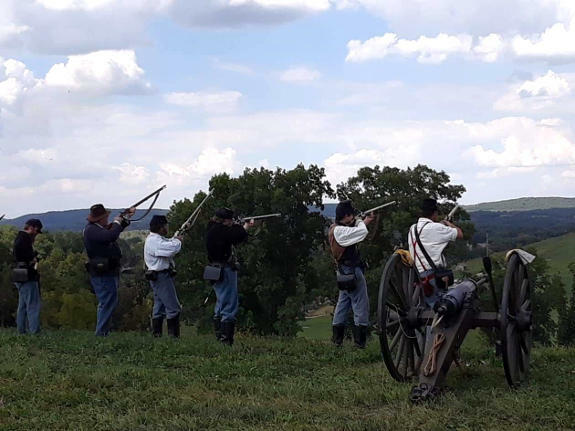 The 8th Missouri Cavalry and Hermann, Mo., sponsored Hermann Civil War Days on September 15-16, 2018, in town in Hermann, Missouri. Members of Company M participated. 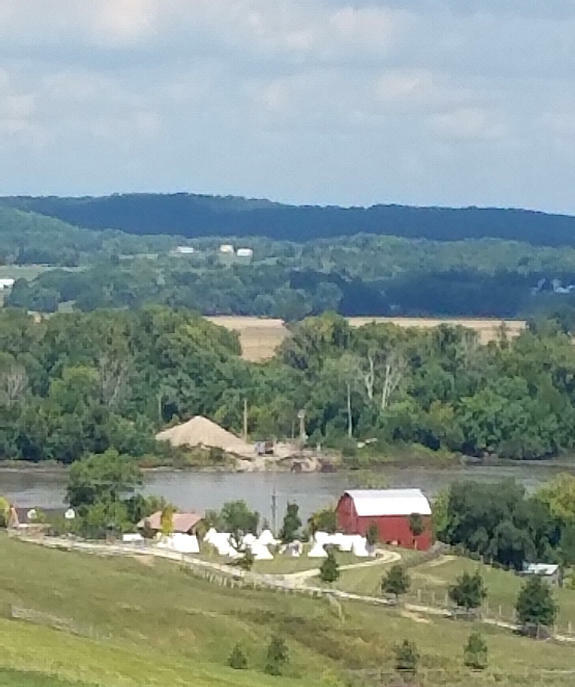 View of the Union camp from the Union artillery position at the Herman, MO, reenactment, September 15-16, 2018. 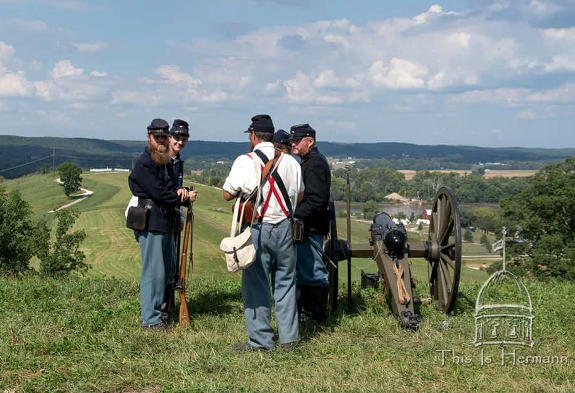 Members of Company M await the start of action during the Hermann, MO, reenactment, September 15-16, 2018. 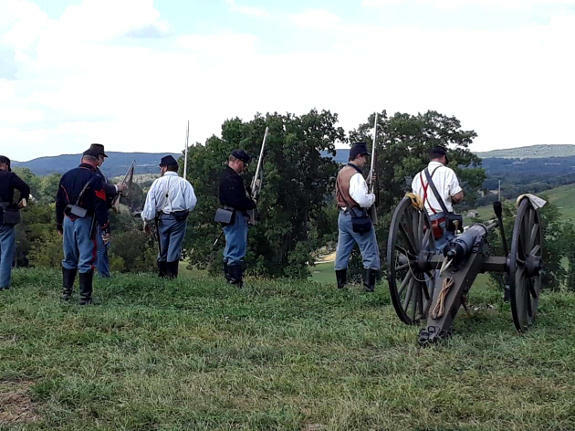 Members of Company M prepare to defend their position during the Hermann, MO, reenactment, September 15-16, 2018. Members of Company M defend their position during the Hermann, MO, reenactment, September 15-16, 2018.